Nina, Thank you so much for your feedback and it gives me great joy to know that you are enjoying my salad recipes. 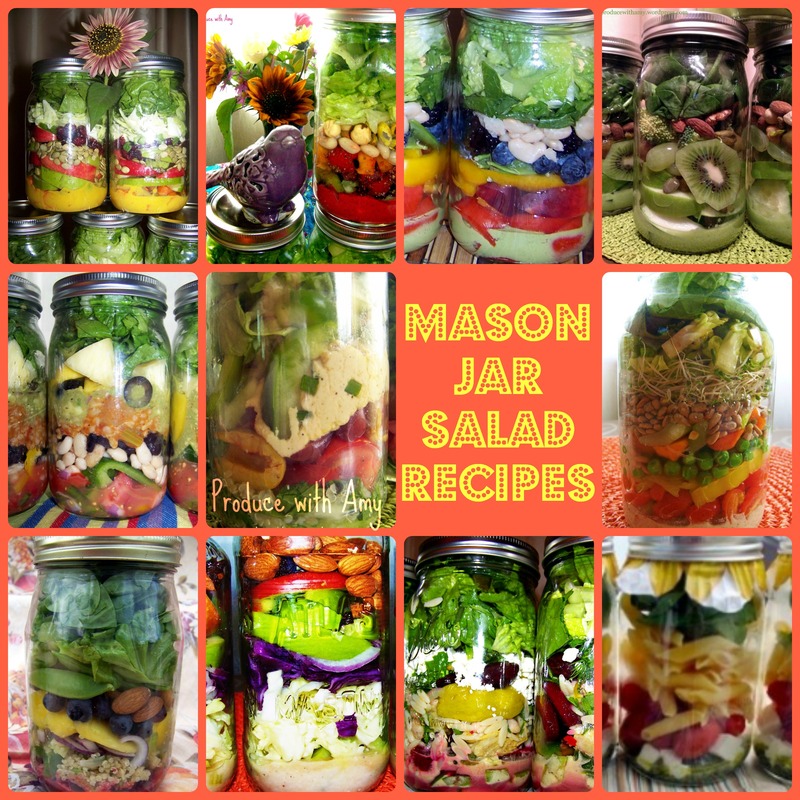 It is amazing how long they stay fresh and I can only imagine how much money the jar salads have saved me in not having to throw out produce! I hope you enjoyed the Paradise salad. Today I am working on a new post for a Cherry BBQ Salad. The dressing works well as a salad dressing and as a sauce. Please keep me posted and thank you again for your comment. You made my day! I look forward to trying some of these. Always looking for new lunch ideas! I hope you enjoy the salads. I am constantly trying to find new ways to perk up my lunches. Enjoy and please let me know which ones are your favorite. Thank you for your comment! wow. I was first drawn to your site by the blue and purple passion salad…and to my shocked delight there are more and more of these beautful recipes! I can’t wait to try them all and listen to the praises heaped upon by my family! I just might take credit… 🙂 thank you!! Hi Amy, I’m Nigerian and i love your posts but can’t really get most of the ingredients here, wish i could and we have challenges with electricity here. You’re doing a great job though. well done. Thank you so much for your comments and kind words. That’s too bad that you have challenges with ingredients and electricity. I hope you are able to find suitable substitutions. Thank you for reading and take care.